I started coming to Jada Blitz for personal training when I knew that I wanted to try and become pregnant in the near future. I have always enjoyed working out, but wanted a more individualized program with one and one attention. From the time I began training here I have always felt comfortable in my fitness journey, the trainers have always made it a priority to listen to me and how my body was feelings to tailor my workouts accordingly. I am now 8 months pregnant and while I have not been able to do intense workouts the last few months of my pregnancy I have been consistently working with Aubree on stretching and moving my body. 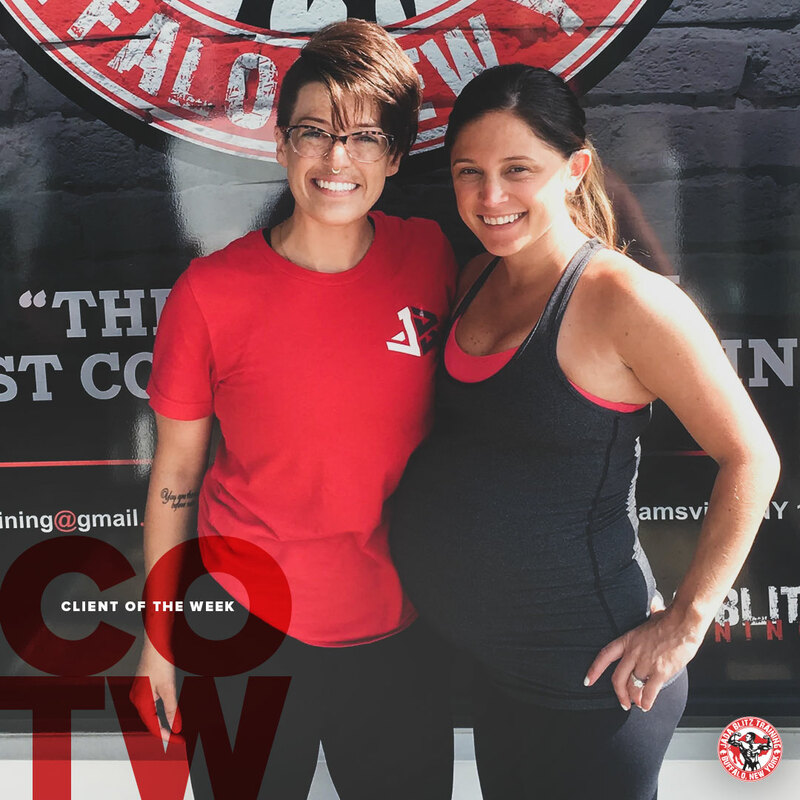 Your body goes through so many changes during pregnancy and she has been very helpful in keeping me feeling good these last few months with alternative ways to keep me moving. I can’t wait to continue my journey with Aubree and Jada Blitz for the duration of this pregnancy and post postpartum.